LEEDS, England, CMC – Leeward Islands left-hander Chesney Hughes narrowly missed out on a 117-year-old record here Tuesday when he stroked a monumental unbeaten double hundred for Derbyshire at Headingley. BRIDGETOWN, Barbados, CMC – Legendary Sri Lanka off-spinner Muttiah Muralitharan was yesterday announced as the final international franchise player for the lucrative Caribbean Premier League which bowls off in July. The Georgetown Cricket Association (GCA) Hadi’s World first division two-day cricket competition continues this weekend with four matches. COLOMBO, Sri Lanka, CMC – West Indies women clinched a tight seven run win over Sri Lanka women in the final T20 match to secure the series 4-1 at the R Premadasa Stadium here yesterday. 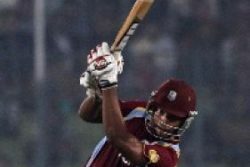 BRIDGETOWN, Barbados, CMC – Stroke-maker Marlon Samuels celebrated his return to full fitness with a typically elegant half-century on the second day of the three-day tour match against Zimbabwe here yesterday. 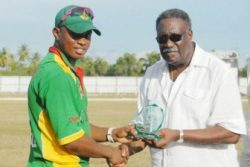 ST GEORGE’S, Grenada, CMC – Out-of-favour West Indies left-arm spinner Nikita Miller produced a magical spell to rout tournament leaders Windward Islands and hand five-time defending champions Jamaica a handsome 91-run victory in the Regional Four-Day Championship here yesterday. GALLE, Sri Lanka, (Reuters) – Kumar Sangakkara struck his 31st test century to equal the Sri Lanka record held by Mahela Jayawardene as the hosts reached 361 for three on the first day of the first test against Bangladesh yesterday. 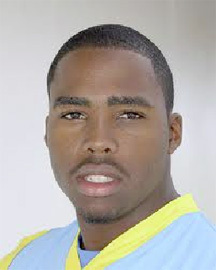 BRIDGETOWN, Barbados, CMC-West Indies cricket selectors have recalled offspiner Shane Shillingford and fast bowler Shannon Gabriel ahead of the two- match test series against Zimbabwe starting next week. 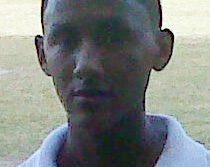 NORTH SOUND, Antigua, CMC – Tonito Willett’s half-century propped up Leeward Islands but Guyana were making a strong reply on the opening day of the first round of matches in the Regional Four-Day Championship here today. PORT-OF-SPAIN, Trinidad, CMC-Trinidad and Tobago captain Denesh Ramdin is planning to use the regional cricket season to press his claim for a recall to the West Indies side after he was overlooked for the current tour of Australia. 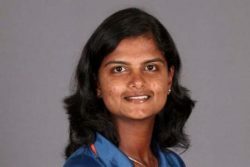 MUMBAI, India, CMC – West Indies Women batting woes continued here today as they slumped to a heavy loss to hosts India in the opening match of the ICC Women’s World Cup. (Jamaica Gleaner) The loss of sight in his right eye for over two weeks earlier this month has prompted West Indies and Jamaican batting star, Marlon Samuels, to come to the aid of students at the Salvation Army School for the Blind. JOHANNESBURG, (Reuters) – Graeme Smith will become the first cricketer to captain 100 tests when he leads South Africa out against Pakistan on Friday, his 32nd birthday. 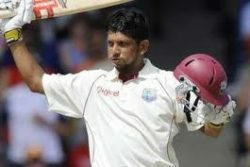 (WICB) Perth, Australia – Ramnaresh Sarwan believes his half-century against the Prime Minister’s XI on Tuesday was the right tonic he required to boost his confidence heading into the five-match One-Day International Series against Australia. (Reuters) – Cricket Australia have appointed fast bowling great Dennis Lillee as an advisor, days after spinner Shane Warne panned the board and said cricket people needed to be running the team rather than ‘muppets’. CANBERRA, Australia, CMC – Opener Kieran Powell narrowly missed out on a century while Ramnaresh Sarwan made a timely return to form with a half-century but West Indies still made a losing start to their tour of Australia with a 23-run defeat to the Prime Minister’s XI here today. (Reuters) – Sri Lanka prevailed in a rain-hit thriller to clinch the second and final Twenty20 international against Australia and seal the series 2-0 today. 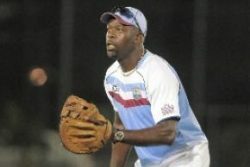 CANBERRA, Australia, CMC – West Indies head coach Ottis Gibson said today the Caribbean side needed to make the most of Tuesday’s warm-up clash with the Prime Minister’s XI, as they prepare to face Australia in a five-match one-day series starting later in the week. (WICB) Canberra, Australia – West Indies will get a feel of the conditions in Australia when they play their opening tour match against the Australia Prime Minister’s XI on Tuesday at the picturesque Munaka Oval. CANBERRA, Australia, CMC – Exciting West Indies all-rounder Andre Russell is champing at the bit to face Australia, and says he is backing himself to execute against the former World champions. (Reuters) – David Warner’s unbeaten 90 went in vain as Sri Lanka beat Australia by five wickets in the first Twenty20 International today to go 1-0 up in the two-match series. 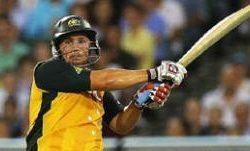 SYDNEY, Australia,, CMC-Australian selectors have recalled middle order batsman Aaron Finch for the first two games of the five match One Day International series against West Indies. KINGSTON, Jamaica, CMC-Recently appointed Chief Executive Officer of the West Indies Cricket Board (WICB) Michael Muirhead has declared an end to the once turbulent relationship between WICB and the West Indies Players Association (WIPA). (BBC) India took an unassailable 3-1 lead today in the one-day series against England following a five-wicket win in Mohali. HOBART, (Reuters) – Phil Hughes returned to form with a century before Xavier Doherty and Moises Henriques took three wickets each to lead Australia to a series-levelling 32-run win over Sri Lanka in the final one-day cricket international today. (WICB) Gros Islet, St Lucia – Two legends of West Indies cricket have hailed Windward Islands captain Darren Sammy for the gesture of withdrawing an appeal at the end of last Friday night’s Caribbean T20 match against Guyana. GROS-ISLET, St. Lucia, CMC-President of the West Indies Cricket Board (WICB) Dr. Julian Hunte says sold out matches in the just concluded Caribbean T20 tournament is proof that passion for West Indian cricket has been rekindled. 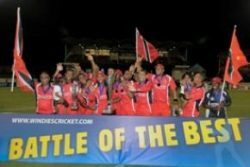 PORT-OF-SPAIN, Trinidad, CMC-The Trinidad and Tobago Cricket Association (TTCA) is seeking the assistance of the government to retain the services of its Indian Premier League (IPL) players for the 2013 Champions league T20. 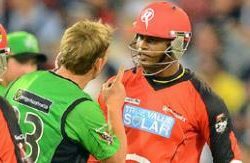 SYDNEY, Australia, CMC-West Indies middle order batsman Marlon Samuels has accused Australian legend Shane Warne of going “overboard” in a “desperate” attempt to unsettle him during an ugly confrontation in the Big Bash League. MELBOURNE, Australia, CMC-West Indies middle order batsman Marlon Samuels has escaped punishment for his role in an ugly clash with Shane Warne, captain of the Melbourne Stars during a match of the Australian Big Bash League. GROS ISLET, St Lucia, CMC – Captain Denesh Ramdin has attributed team work as the main reason behind Trinidad and Tobago’s historic milestone after they blew away Guyana to win the Caribbean T20 title for a third consecutive year. 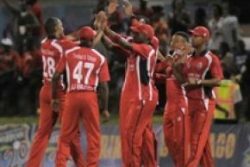 GROS ISLET, St Lucia, CMC – Mighty Trinidad and Tobago reduced the Caribbean Twenty20 final to a no-contest as they crushed out-of-sorts Guyana in a authoritative performance to march to their third consecutive title here Sunday night. 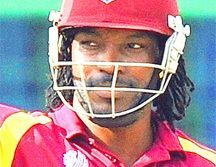 (WICB) Gros Islet, St Lucia – It is not often someone can top Chris Gayle’s awesome power in the Twenty20 format, but Chris Barnwell proved he had the formula as he played the lead role in the Christopher Show on Saturday night. 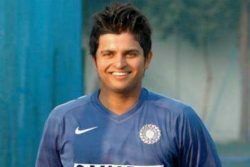 LEICESTER, England, CMC – Leicestershire are unnerved by Ramnaresh Sarwan’s selection to West Indies for the upcoming tour of Australia, and plans to speak to the right-hander about his availability during the upcoming English county season. PERTH, Australia, CMC – West Indies speedster Kemar Roach saved his best for last, producing a superb spell to help propel Brisbane Heat to the capture of the Australian Big Bash title here today. GROS ISLET, St Lucia, CMC – Guyana held off Windward Islands to win a nerve-jangling encounter off the last ball and force their way into Saturday’s playoff final of the Caribbean Twenty20. GROS ISLET, St Lucia, CMC – Jamaica defeated Combined Campuses and Colleges by seven wickets in the penultimate preliminary round game of the Caribbean Twenty20 at the Beausejour Cricket Stadium here today. GROS ISLET, St Lucia, CMC – Manager Omar Khan says defending champions Trinidad and Tobago have achieved their goal thus far ahead of the finals of the Caribbean T20 tournament scheduled for Sunday. GROS ISLET, St Lucia, CMC – A scintillating Darren Sammy cameo helped Windward Islands overpower beleaguered Barbados and keep alive their chances of reaching the playoffs of the Caribbean Twenty20. GROS ISLET, St Lucia, CMC – Leeward Islands held their nerve in a tense finish to beat Combined Campuses and Colleges and gather their first win of the Caribbean Twenty20 here Wednesday. GROS ISLET, St Lucia, CMC – Windward Islands defeated Barbados by four wickets in the 19th game of the Caribbean Twenty20 at the Beausejour Cricket Stadium here last night. GROS ISLET, St Lucia, CMC – Guyana withstood a late charge from Leeward Islands to carve out a 14-run win and take a huge stride towards a spot in the playoffs of the Caribbean Twenty20 here Thursday night. 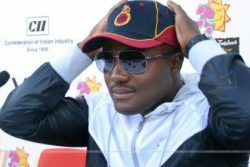 DHAKA, (Reuters) – The growing popularity of Twenty20 internationals will not harm test cricket because the two formats of the game can thrive together, former West Indies captain Brian Lara said today. 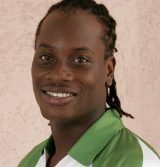 GROS ISLET, St Lucia, CMC – Talismanic opener Chris Gayle is set to join Jamaica’s squad for the Caribbean Twenty20. 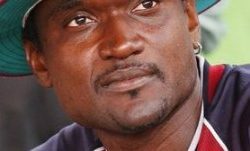 ADELAIDE, Australia, CMC-Former West Indies cricket captain Carl Hooper says he has no interest in becoming the next head coach of the Bangladesh cricket team. GROS ISLET, St Lucia, CMC – Defending champions Trinidad and Tobago cruised into the final of the Caribbean Twenty20 after nonchalantly dismissing a timid challenge from Barbados here last night. (WICB) Castries, St Lucia – Ramnaresh Sarwan is eagerly looking forward to his return to the West Indies for the upcoming limited-overs tour of Australia. GROS ISLET, St Lucia, CMC – Trinidad and Tobago defeated Windward Islands by eight wickets in the 15th game of the Caribbean Twenty20 at the Beausejour Cricket Stadium here Tuesday. (WICB) St John’s, Antigua – The West Indies Cricket Board’s Selection Panel today named the 15-man squad for the upcoming limited-overs tour of Australia.